Certified Master Installer Carl Hardtke has locally owned Windows Of Wisconsin for over 21 years. As a Master Installer, Carl personally reviews all of the details of your replacement window Green Bay project. This is a critical step that we take to ensure your project gets completed as expected. As a Green Bay homeowner, you know that the installation of the product is just as important as the product itself. Here at Windows Of Wisconsin, we take pride in every one of our professional window installations in Green Bay and the surrounding area. With Windows Of Wisconsin, you will receive the highest level of craftsmanship in the industry. Our high level of customer satisfaction is evident based on our stellar reputation in the local community. The majority of our work comes from referrals and repeats from our wonderful customers who love their replacment windows. When it comes to Green Bay replacement windows, we know best. Fill out the form or give us a call to schedule and appointment today! Windows Of Wisconsin welcomes you to come see the largest window showroom in NE Wisconsin where we feature replacment windows from three different manufacturers. Enjoy a comfortable shopping experience with the most knowledgeable sales staff in the industry. Discover what the true differences are, whats important and how to compare windows. To provide replacement windows in Green Bay areas we are conveniently located at 2300 Tower Dr. in Kaukauna on the frontage road in between exits J and 55. A 20-minute drive could save you thousands of dollars. We have the same or similar replacement windows as many of our Green Bay competitors for hundreds of dollars less per window. Located at our fifteen thousand square foot facility, is a well-appointed woodworking shop and paint shop where custom trim packages are built to customers specifications. Adam, our paint shop foreman, is an expert in the art of mixing colorants to create a stain that is a custom match for the decor of your home. We mail samples to you prior to making any final decisions in order to ensure the stain is a perfect match. These extra services and steps we take help ensure your satisfaction and separate us from the competition. We invite you to make an appointment with a salesperson in our showroom. Bring in the sizes and pictures if possible and we will give you a written estimate on the spot. Our sales staff may be busy with in-home appointments, so please remember to make an appointment if you would like a written estimate in the showroom. If you would rather enjoy the convenience of an in-home quote from one of our professionals, we would be honored to be invited as a guest and would be respectful of your time. Call and schedule an appointment today to get your in-home quote for replacement windows Green Bay. Windows and doors are important architectural components of your house and help determine the energy efficiency, comfort, and appearance of your home. With poorly built windows and doors, your home is not structurally sound and is likely costing you lots of money in energy waste. We take your replacement window Green Bay project seriously and are here to help. 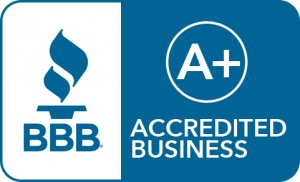 Our mission is to provide quality windows in Green Bay and the surrounding areas. We have the latest developments in window technology, the largest variety of replacement windows in Green Bay WI to choose from, and personalized service that can’t be beaten. All of our Green Bay windows are backed by excellent warranties from their manufacturers. We are so confident in our windows and installation that we guarantee our workmanship for as long as you live in your Green Bay home.